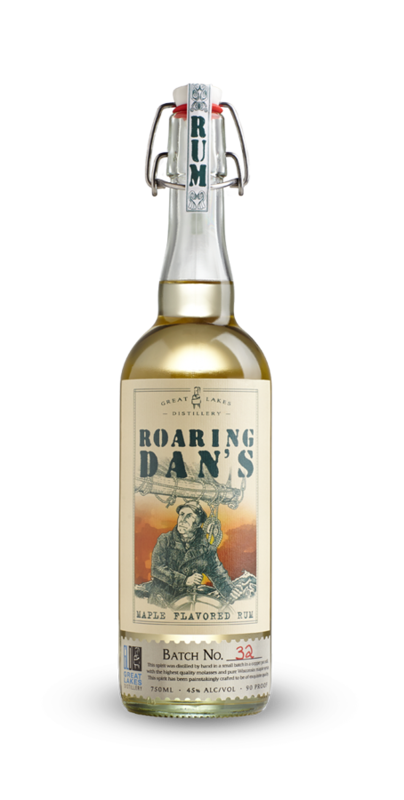 Roaring Dan's Rum is distilled from fermented grade "A" sugar cane molasses. Before a second distillation, pure Wisconsin maple syrup is added. 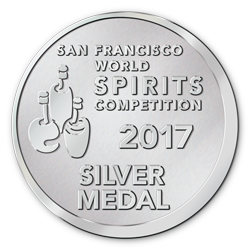 The rum is then aged in a combination of new charred American white oak barrels and used bourbon barrels. The hint of maple we add gives Roaring Dan's Rum a buttery sweetness on palate entry followed by a dry finish. Try it straight up or in the best Rum & Coke you will ever have. But don't stop there, try it in Cream Soda (Sprecher) or with a Dr. Pepper. ALL AMAZING. Be sure to check our cocktail database for all our great rum cocktails. Who is this Roaring Dan? What is a rum without a pirate? Well - our pirate is truly one of a kind Roaring Dan Seavey. Unlike some of those other rum pirates, Dan didn't wear feathers and knee britches. He didn't have a boat load of thugs to do his dirty work and he sure doesn't have an expensive marketing company plastering his face in every bar and liquor store in the free world. No Madison Avenue types have ever even heard of Dan, but you can be sure Dan was all pirate. Dan didn't ply the Caribbean, his home was on the Great Lakes. Although the facts and fiction of Dan's life have become twisted over the years, we do know Dan was the only man ever arrested for piracy on the Great Lakes. Dan owned a saloon and brothel in Milwaukee and left to join the Alaskan gold rush only to return to the Great Lakes broke. In 1908 Dan stole a ship - the Nellie Johnson - by getting the captain and crew drunk. 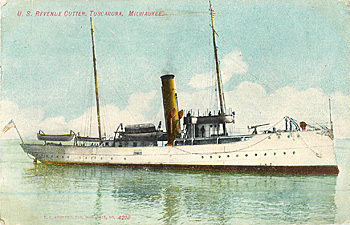 The Tuscarrora, a government Revenue Cutter based in Milwaukee was sent to pursue Dan and eventually captured him after firing a warning shot from their cannon. After being taken to Chicago to face charges, Dan was released and later charges were mysteriously dropped. Classic Wisconsin has a great article on Dan Seavey. Roaring Dan's Rum is flavored with 100% pure maple syrup from Anderson's Maple Syrup in Cumberland WI. Contains 45% Alcohol By Volume (90 Proof).